Volti updated their cover photo. Indiegogo for our 40th anniversary: http://igg.me/at/volti 4 days 12 hours ago. Volti is celebrating a birthday. Have you heard? We're turning 40, and we've got some exciting projects brewing! Indiegogo: http://igg.me/at/volti 4 days 12 hours ago. 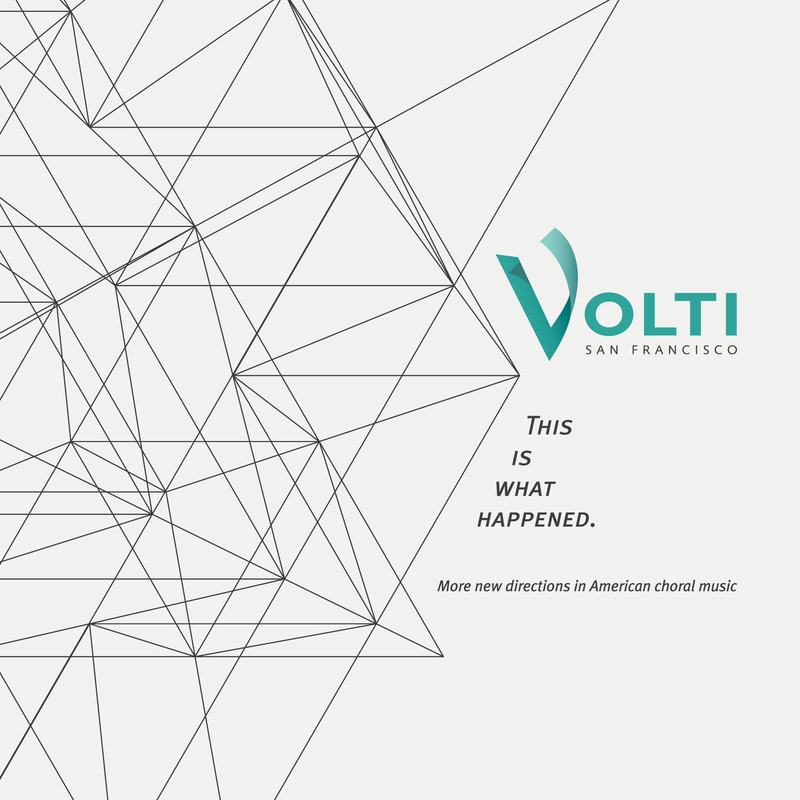 Volti’s professional singers, under the direction of founder and Artistic Director Robert Geary, are national leaders in the discovery, creation, and performance of new vocal music. They are the first ensemble to have won the ASCAP/Chorus America Award for Adventurous Programming of Contemporary Music six times. In this recording they introduce 21st-century works they commissioned from American composers of dazzling range and diversity. Opening the album is Robin Estrada’s Paghahandog, an explosion of sound from a bold and innovative Filipino-American composer who focuses on contemporary art music influenced by Asian indigenous traditions. Next is a new piece from Stacy Garrop, whose music is centered on direct and dramatic narrative and the sharing of stories. Songs of Lowly Life sets four poems by Paul Laurence Dunbar, the first African-American poet and novelist to gain national and international attention, written around the turn of the 20th century. Volti’s resident composer Mark Winges contributes Canticles of Rumi, settings of five poems by the 13th-century poet and founder of Sufism. Seattle-based composer John Muehleisen contributes … is knowing … -- a musical analogy to Gertrude Stein’s linguistic Cubism. Album closer Paradise by Shawn Crouch was originally commissioned by Chanticleer in 2009 and then substantially revised for Volti in 2013. Paradise is based on the poems of American poet Brian Turner, an Iraq War veteran, whose moving accounts of the war are set alongside the poetry of the 12th Century Persian poet Hafez.